Marriage and weight gain go hand-in-hand for many couples. You may notice your husband's weight increasing and want to help him slim back down, or you may want to lose weight along with him. 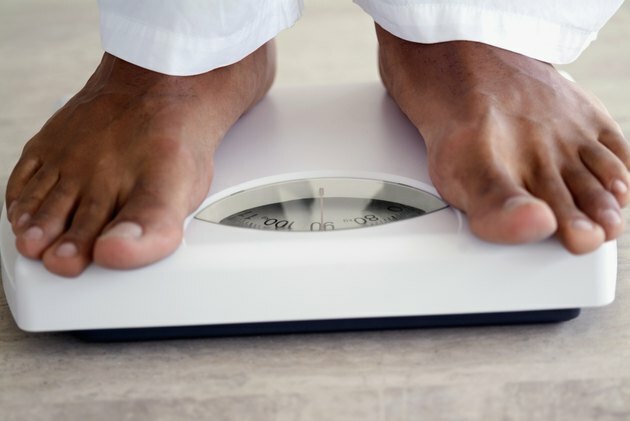 Being overweight increases your chances of several health conditions, including coronary heart disease, high blood pressure, type 2 diabetes, certain cancers and fertility issues, according to the National Heart, Lung and Blood Institute. 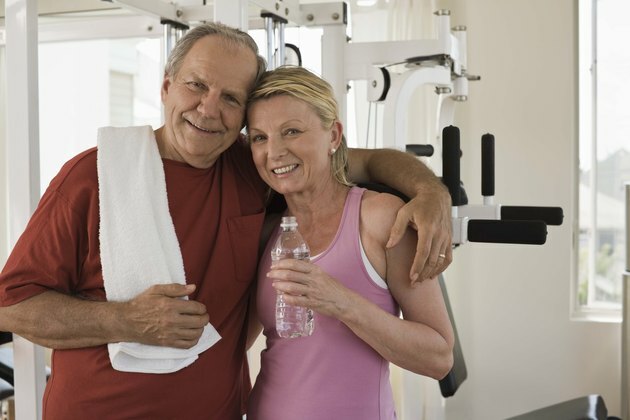 Helping your husband lose weight also helps him reduce his risk for these serious health problems. Assess your husband's motivation to lose weight and his sensitivity to the subject. Weight Watches points out that you can't force a person to lose weight. If he isn't motivated to lose the weight, it's difficult to help your husband. If he's sensitive about his weight, use caution when talking to him about weight loss. Assess your own habits, even if you're not overweight. If you stay active and watch what you eat, your habits may motivate your husband to do the same. Even if you don't need to lose weight, you will improve your health. Remove junk food from the home to encourage healthier eating for everyone in the family. If your husband isn't supportive of eliminating junk food, reduce the amount you buy or choose lower-fat versions to ease him into the idea. Occasional splurges prevent you from feeling deprived, but keeping lots of junk food on hand also tempts some people into overindulging. Substitute unhealthy ingredients with healthier options in your cooking. For example, use low-fat sour cream and cream cheese instead of the full-fat versions. Hitched magazine recommends baking or steaming instead of frying foods. These simple swaps let you enjoy your favorite foods while cutting fat and calories. Eat at home more than you eat out. If your husband suggests going to a restaurant, cook him a romantic meal at home instead. This lets you control what goes into the meal for a healthier option. Restaurant food often is high in fat and calories. The portion sizes also are too large. 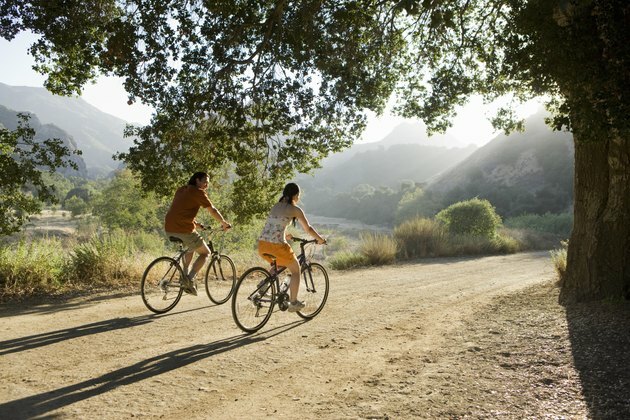 Plan physical activities to enjoy together. This gives you quality couple time while you exercise. Start a nightly routine of walking or biking through your neighborhood after dinner. Another option is to find a sport that both of you enjoy and play it on a regular basis. 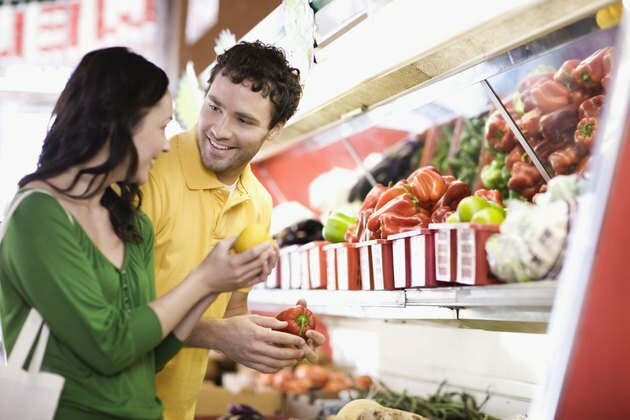 Encourage your husband to continue making healthier choices by recognizing his efforts. Weight Watchers recommends praising subtly so your husband doesn't feel that every move he makes is analyzed. 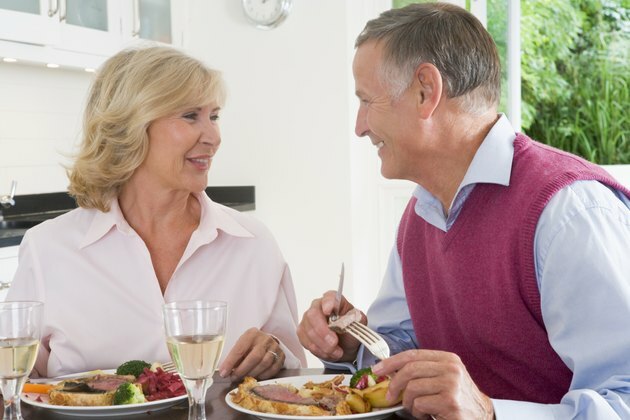 Focus on the health aspects of losing weight when talking with your husband rather than the beauty aspect. If you tell him you want him to lose weight so he'll be around for a long time, he may be more receptive to weight loss. Avoid threatening or criticizing your husband for poor eating or exercise habits. This may cause a rift in your relationship and discourage him from even trying to lose weight. How Long Should a Baby Cry When He's Going to Sleep?